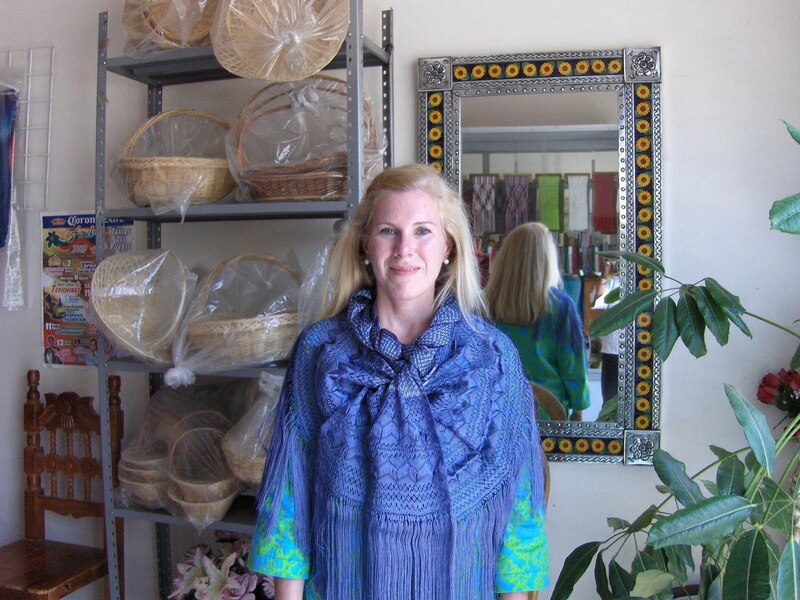 Santa Maria del Rio is known around the world as the birthplace of the rebozo, a large versatile shawl. 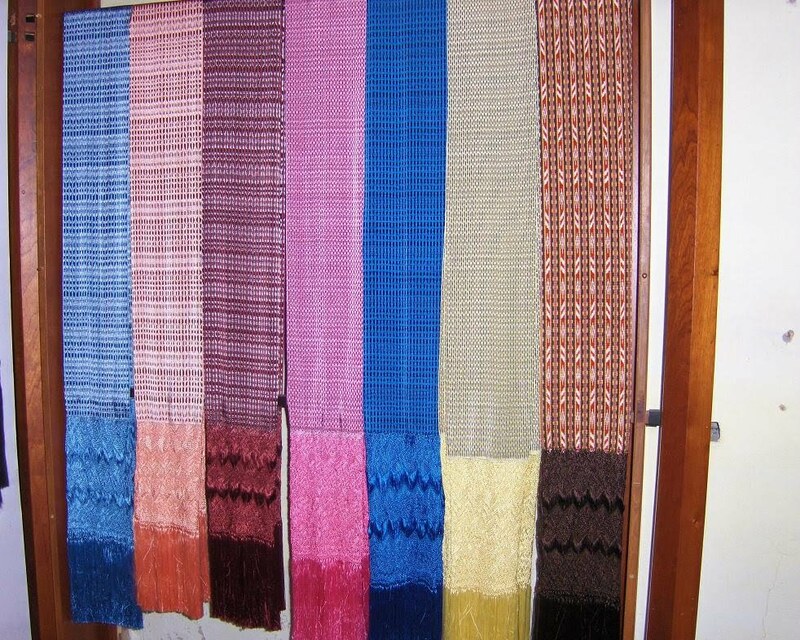 Celebrated in song and through art, the rebozo is art that is worn by women of all socio-economic levels. 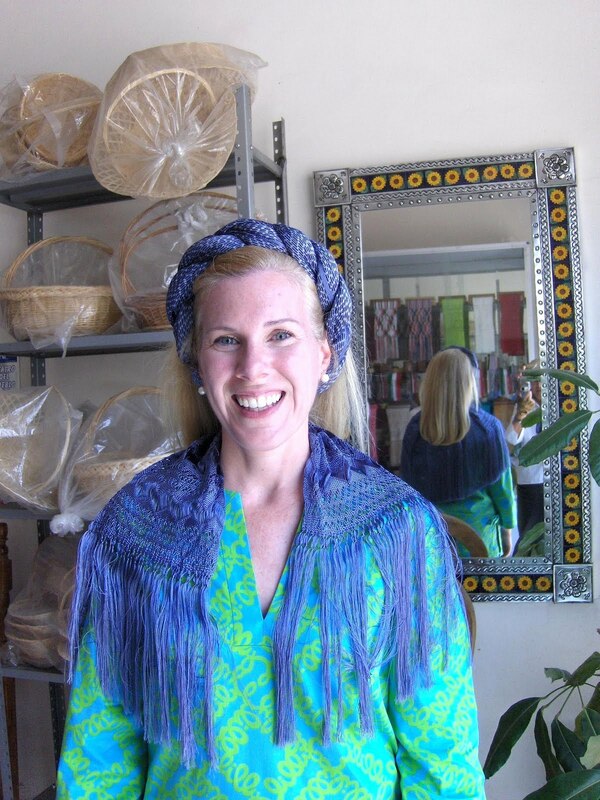 The uses and ways of wearing a rebozo are endless. My maid used to tie one of the minnies to her waist or back with her shawl, but I could never seem to get it quite right. It's a practical wrap in the night's cool breeze or adds flair to a formal dress at a wedding. Rebozos tied in bows often decorate colonial homes and buildings. There are many different types of rebozos made in Mexico out of materials that range from cotton to silk. The techniques used by the artists in Santa Maria del Rio are unique and are among the most prized in Mexico. 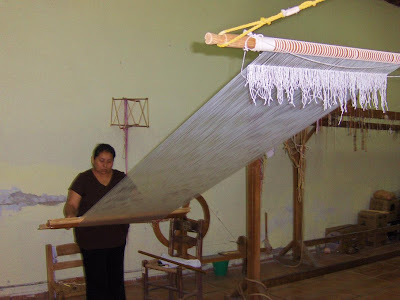 I had the wonderful opportunity to visit several schools where rebozos are made using old techniques. 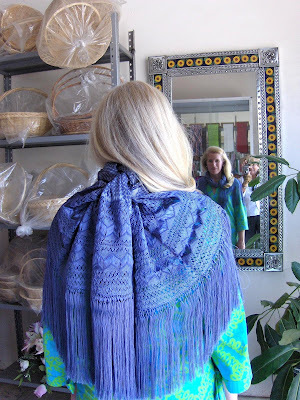 It can take a month to make a single rebozo. Schools are subsidized by the government and offer local artists the opportunity to use large scale tools that they would not have at home. 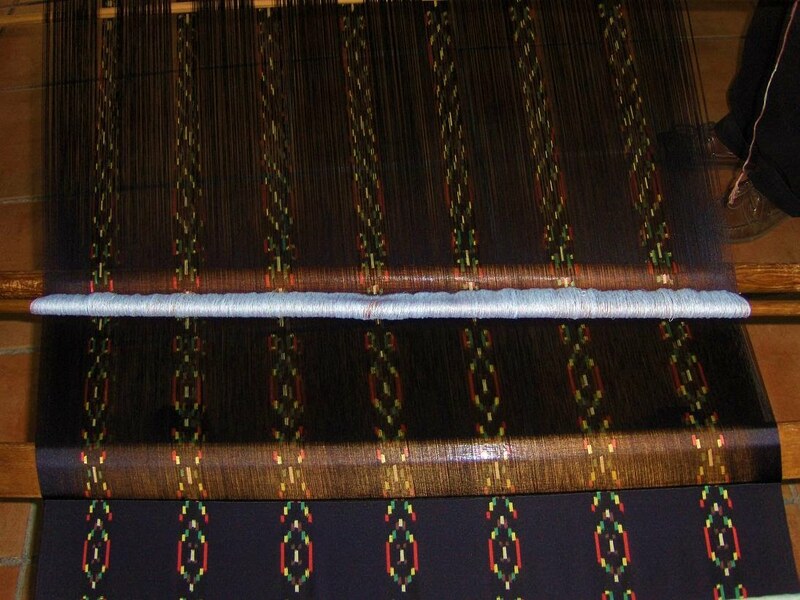 Silk and an synthetic silk called "articela" are used for the traditional rebozos at Santa Maria del Rio. 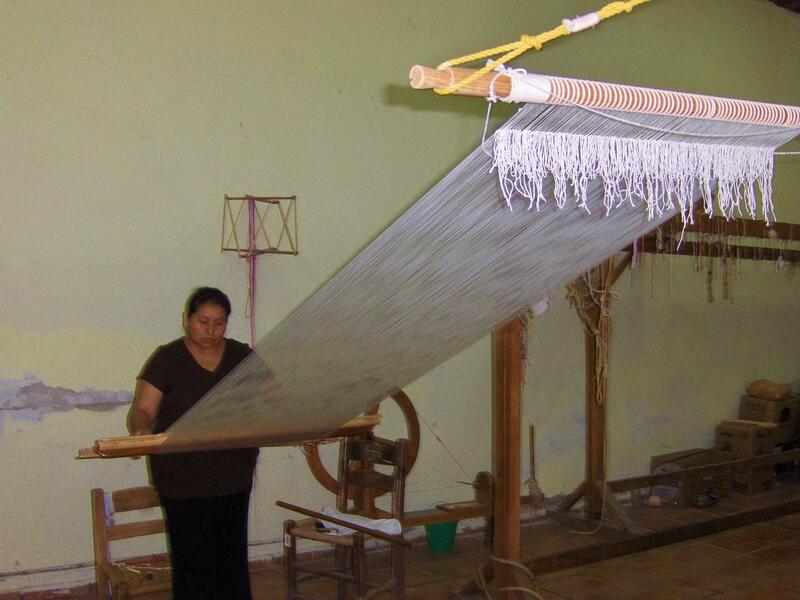 The threads are dyed by hand, dipped over 100 times in the dyes, many of which are natural in origin. 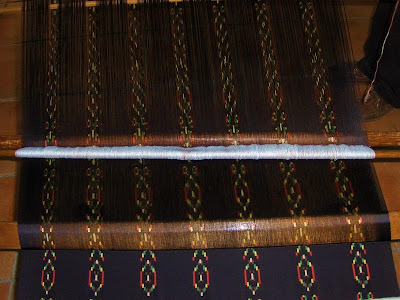 The unique ikat patterns are created using a special dye resist technique. The traditional "rebozo de bolita" is an ikat pattern with two colors. More intricate shawls may have five or more colors and special designs. These are collector's items, since no two shawls are alike. Shawls range in price from $150 - $1,000 US dollars or more depending on the material and technique.